Eurocom is launching a new Mobile Server; the Intel Xeon based EUROCOM P5 Pro SE3, a 15.6" lightweight 7.5lbs (3.4kg) Mobile Server with an integrated display, keyboard and built-in battery (UPS). The EUROCOM P5 Pro SE Mobile Server supports up to 5TB of storage with four SATA3 6Gb/s physical drives in RAID 0/1/5/10, up to 32GB of memory and is powered by Intel's line of Intel Xeon E3-1200 v3 series processors. 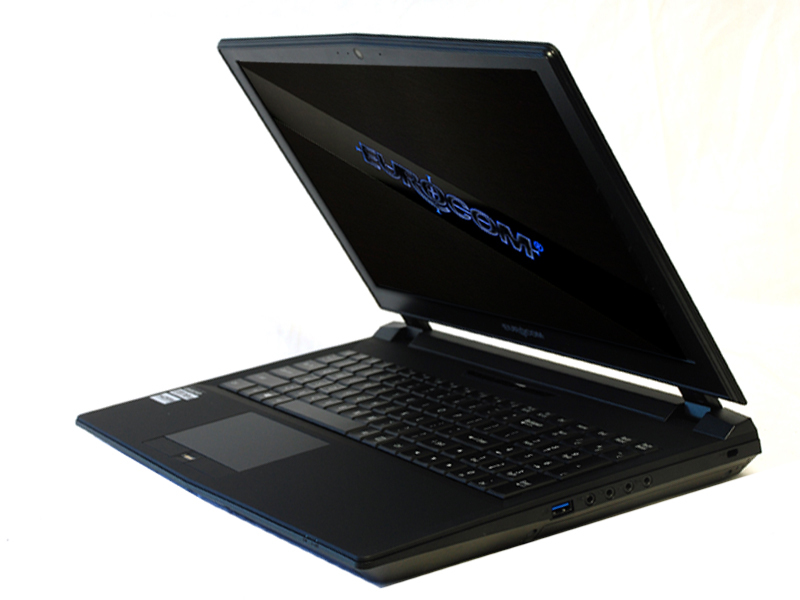 The EUROCOM P5 Pro SE3 has Intel® XEON E3-1200 v3 series support from an Intel Z97 Express Chipset and LGA 1150 socket. Memory is fully upgradeable and configurable with four SODIMM sockets able to support up to 32 GB of memory. The EUROCOM P5 Pro SE3 Mobile Server is an all in one system that results in a compact 7.5 lbs., 5.4x10.48x1.4 inch mobile server solution. It is designed for world wide deployment and easy network set up. It is easy to transport, move around and relocate as it can fit into a single carrying bag because of its all in one, compact design. The EUROCOM P5 Pro SE3 can be preloaded with a variety of server class operating systems including Windows Server 2012 to provide customers with powerful and flexible server application management. “The EUROCOM P5 Pro SE3 is the perfect Mobile Server solution for professionals travelling or regularly working on the go, providing server grade Intel Xeon processing power, RAIDable storage, high levels of memory and most importantly, mobility.” Mark Bialic, Eurocom President. Storage comes by way of four drive bays, two M.2. SSD slots and 2 standard drive bays for up to 5 TB of RAIDable storage. PCIe Solid State drives are supported for enhanced storage performance. RAID 0,1,5 and 10 are offered for maximum performance or redundancy. Clean up the tangled mess of your businesses computing tools with a EUROCOM P5 Pro SE3 all in one server for an easy to use mobile server infrastructure that can be up and running in minutes. Heavy Duty ABS plastic is used in the chassis to provide a very rugged, yet sleek case that is perfect for professionals on the go, who require a tough all in one system. The P5 Pro SE3 is prewired for 3G/4G module support, through an M.2 slot, so users can have a reliable internet connection on the go. The EUROCOM P5 Pro SE3 Mobile Server is the 5th generation of Eurocom Mobile Server powered by Intel Xeon processors, continuing the tradition of highly capable, stable, upgradeable and expandable server grade hardware from Eurocom. A 17.3” model is also offered for those who desire a larger display. The EUROCOM Mobile Server is the building block of modern and mobile IT infrastructure because of its fast and easy deployment. You can prepare a complete server setup at your location and then deliver and install it at your customer’s site without downtime associated with traditional servers. There is NO Server Room required to install our Mobile Servers so they can be used them whenever rapid deployment is required for both temporary and permanent usage. An innovative single copper heat-sink design, for both the CPU and GPU, with 7 heat pipes was utilized for enhanced cooling capabilities in the small form factor chassis in order for the P5 laptop to support Intel Xeon E3-1200 v3 series processors and NVIDIA GeForce 900M series or NVIDIA Quadro graphics. The EUROCOM P5 Pro is equipped with a Trusted Platform Module 2.0 (TPM), finger print reader and Kensington lock port to keep crucial data and intellectual property secure.